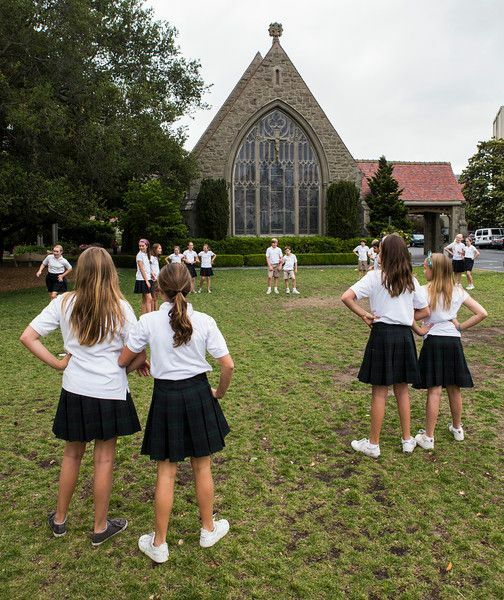 “The childhood sexual abuse lawsuit alleges that prestigious private school St. Matthew’s Episcopal Day School ignored known dangers and failed to protect students. After a St. Matthew’s Episcopal Day School student complained to her parents about pre-kindergarten teacher Anthony Satriano, and after the resulting law enforcement investigation, Satriano was arrested, charged, and pled no contest to five felony counts of lewd and lascivious conduct, attempted lewd and lascivious conduct and using a child for sexual purposes. The victims ranged in age from 5 to 8 years old. On February 23, 2018, pre-kindergarten teacher Satriano was sentenced to 6 years in prison. On March 14, 2018, a former St. Matthew’s student filed suit against St. Matthew’s Episcopal Day School, The Episcopal Church of St. Matthew, Episcopal Diocese of Northern California, Head of School Julie Galles and Anthony Satriano (San Mateo County Case # 18CIV01309). The childhood sexual abuse lawsuit alleges that prestigious private school St. Matthew’s Episcopal Day School and Head of School Julie Galles failed to protect St. Matthew’s School students. The lawsuit further alleges that St Matthew’s School and its employees, including Head of School Galles, ignored Satriano’s inappropriate physical contact with students and grooming conduct, failed to have child protection policies and procedures in place, and hired staff that did not meet legally-mandated minimum qualifications. The lawsuit alleges that St. Matthew’s School and Head of School Galles received many complaints but elected to ignore them. The lawsuit alleges that St. Matthew’s School’s failure to supervise pre-k teacher Satriano allowed him to be alone with students whenever he desired, and he sexually abused students, including Plaintiff, on school property and during official school activities (regular class time, after-school enrichment programs, and school break camps run by Satriano). The lawsuit alleges that St. Matthew’s School ignored known dangers and failed to keep children safe from childhood sexual abuse. “Exposing the truth about childhood sexual abuse and holding schools and churches accountable is the only way to force institutions to make changes to better protect children. Childhood sexual abuse causes traumatic harm that children often suffer for the rest of their lives,” said psychologist and attorney Joseph George, Ph.D. of the Law Offices of Joseph C. George, Ph.D.